On September 30, 2018 Gov. Brown vetoed SB 829, which would have allowed retailers to donate cannabis for free to patients who have a doctor’s recommendation. This was disappointing, no doubt, to many who are sick and unable to afford their medicine under the newly taxed system. However, it is important to remember that the BCC Regulations (16 CCR §5411) already provide for donations to qualified patients and caregivers who hold an MMIC. This donation is NOT considered a retail sale, and is therefore exempt from ALL taxes, including the excise tax. That also means that retailers who decide to donate product to those holding an MMIC are entitled to refund of any excise tax paid to a distributor. 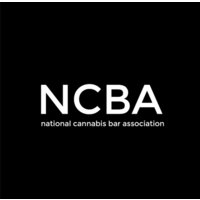 Retailers are also authorized under 16 CCR §5411 to donate cannabis for free pursuant to local compassionate use, equality and similar programs. This means, for example, if a local government provides for free cannabis to veterans, retailers are authorized to make the donation. Retailers should be aware that they will still owe use tax for the cannabis they donate. The take away: patients and caregivers should seek the MMIC to avoid taxes in the first place, and because it is the only way to get free product into the hands of patients. We also encourage you to work with your local government to enact compassionate use and equality ordinances to provide medication to veterans, patients and low income individuals. Of course we need the Retailer’s willingness and cooperation as well.